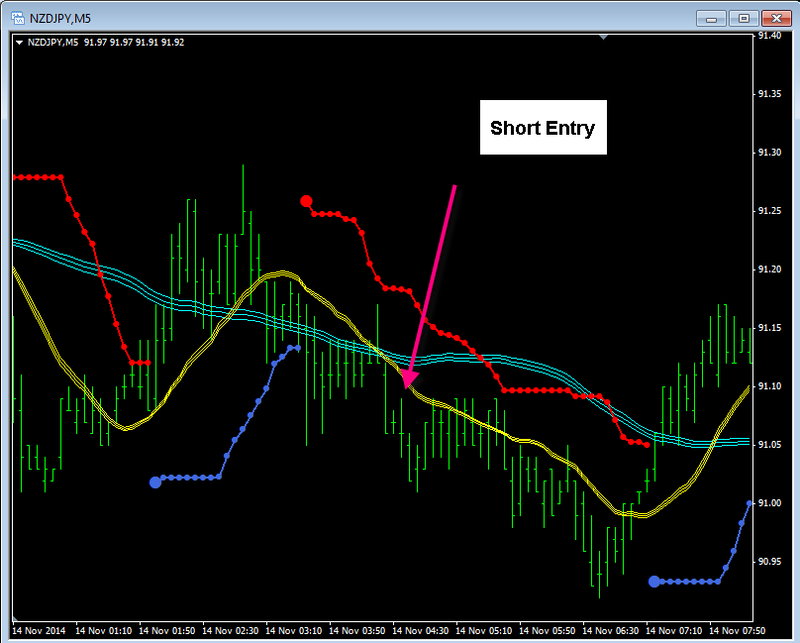 This Magic Bands strategy is a trend following trading strategy which allows the user to work with fast charts like five minute and have reasonable confidence in the system. 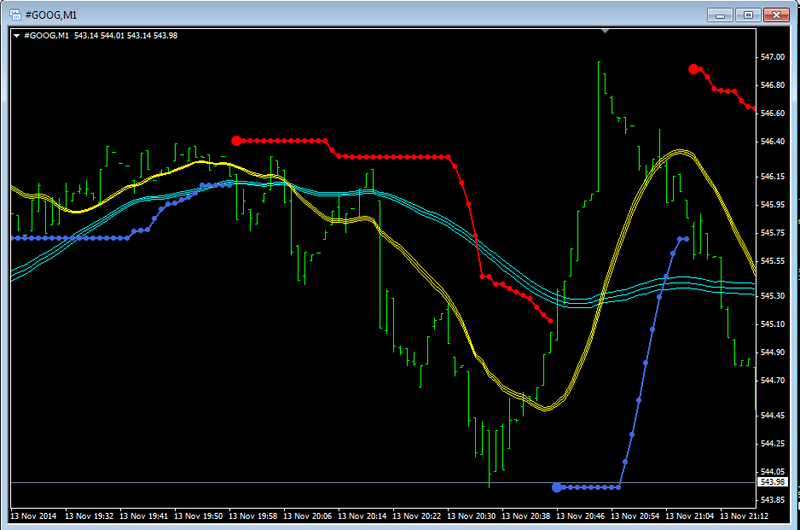 The system uses Bollinger Bands and Bollinger Bands Stop indicators. 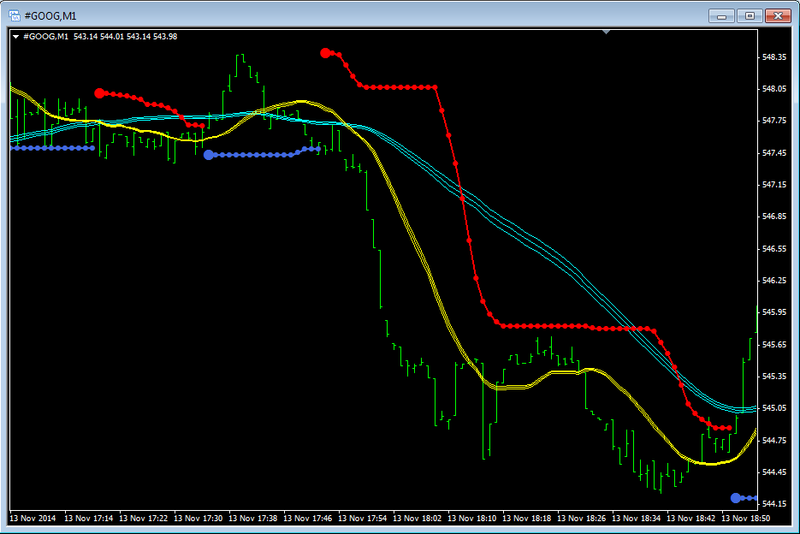 The Bollinger Bands are used to detect trend, there are two sets of Bollinger Band indicators on the chart. 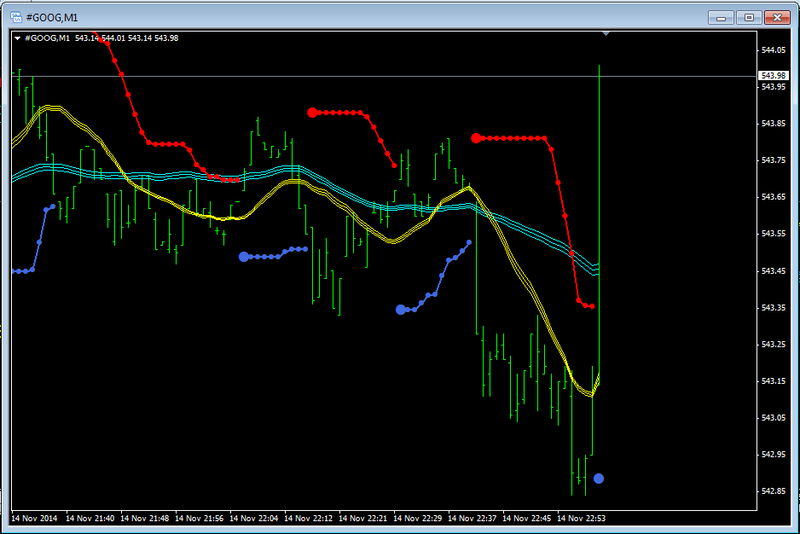 This gives and effect similar to using two moving averages, but a little wider. The setup for short entry will be when the Bbstop is above the price bars, the price is below the 15 Bollinger Bands as well as both are below the 50 Bollinger Bands. The long entry will be available when price bars are above the Bbstop as well the 15 Bollinger Bands are above the 50 Bollinger Bands. 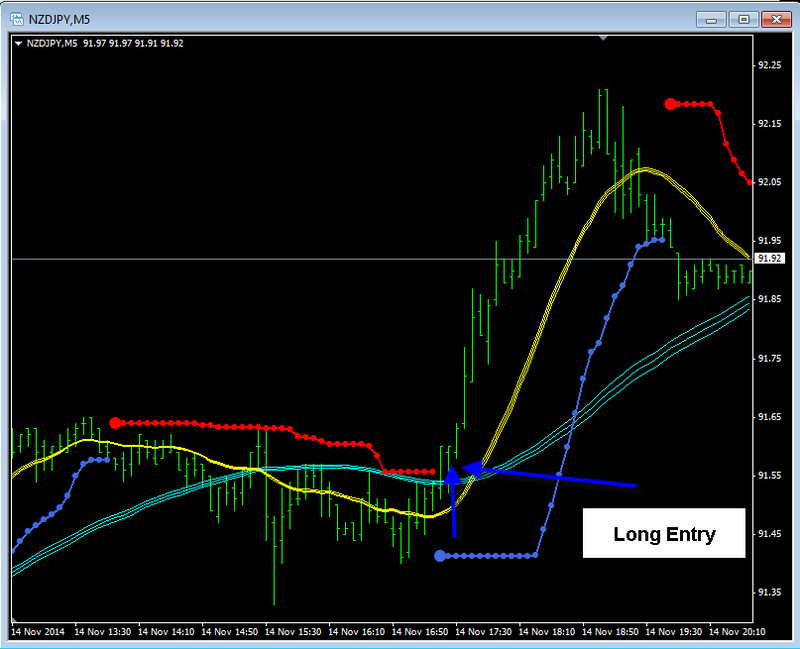 Note: Because this is a trend following system, it is best to ensure that there is a slope to the Bollinger 50 before entering. This system will be expensive to trade in a range bound market. 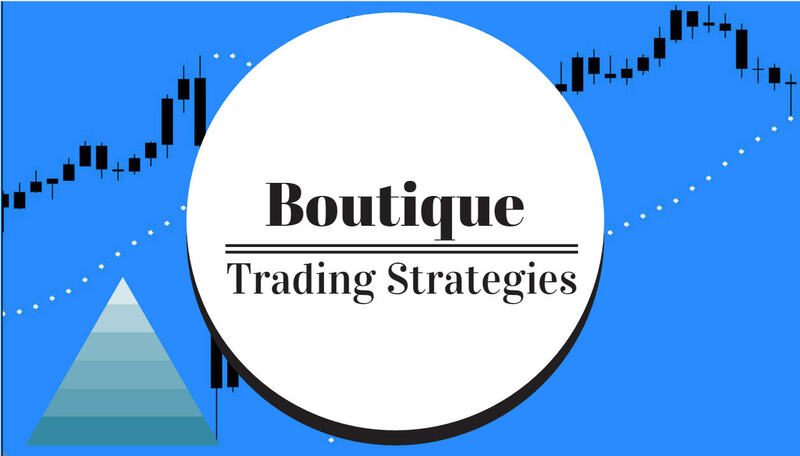 Caution to the trader: The Magic Bands Scalp Strategy is a trend following system, it is most critical that a trend be verified before any entries made.